As the school year comes to an end and the discussions of final exams and tests loom over the heads of students, the graphic design program at Ward Melville offers a different approach to a final assessment. Graphic design students have to create a packaging label and logo for a drink product centered around a theme that the teachers of the art department select. For this year, the theme is fairy tales. The assignment challenges the students, as it asks them to combine and integrate everything they’ve learned thus far into one project. They have to create a brand name and find font that match it, create designs for the packaging that relate to the flavors of the drink, and produce a nutritional information guide for the bottle as well. 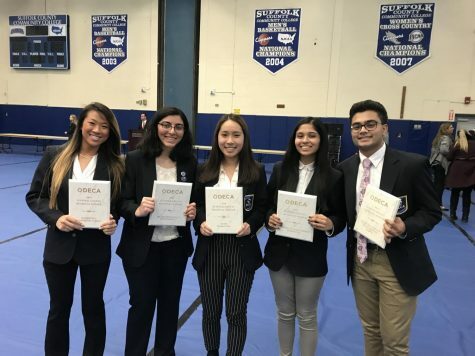 One challenge that some graphic design students have run into is creating packaging for the theme that doesn’t involve copyrighted material. Even though the product will not be mass produced or seen anywhere outside of WM, students are expected to handle and solve problems that real world graphic designers might face. “My original idea was to make a game of thrones drink called ‘Wes-tea-ros’ and the flavors would have been called grape of thrones, mother of dragon fruit, strawberry stark, and watermelon is coming. Unfortunately, all those things are copyrighted by HBO/George RR Martin, so I can’t use them,” said Woo. Although the project challenges students to think differently than they’ve been asked to all year, it inspires production and creativity from the artists. To draw inspiration for their own projects, the graphic design students have been looking for inspiration in as many real world examples as possible. In room 111, where graphic design is taught, the cork board has been filled with packaging labels from beverages, allowing students to pull ideas from preexisting packaging while designing their own. 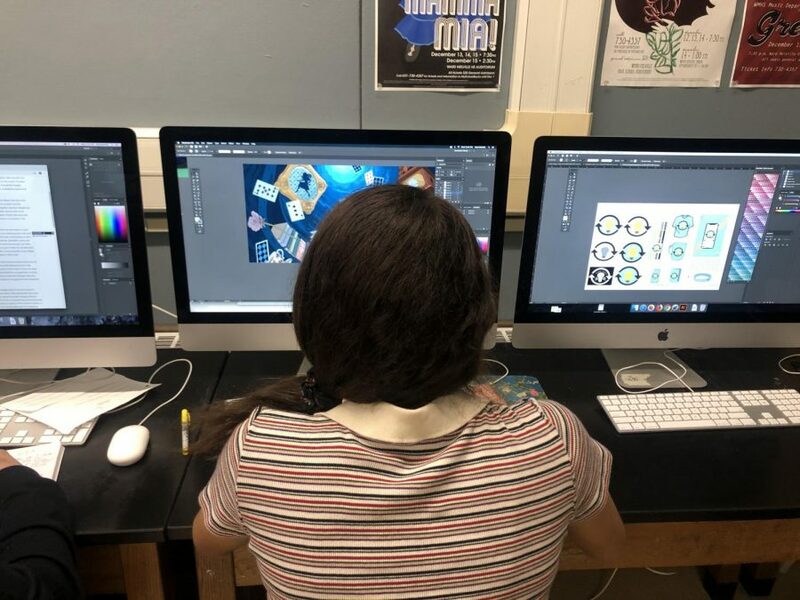 “Graphic design has been my favorite class all year, so I hope that for my final project, I can really show off all of the skills I’ve learned this year,” said Woo.